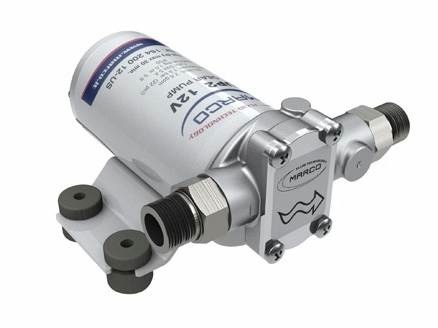 2.6 GPM�Self-priming electric pump with PTFE gears, complete with in-line filter. Nickel-plated brass body with stainless steel shaft. Main applications: bilge service, transfer of water.